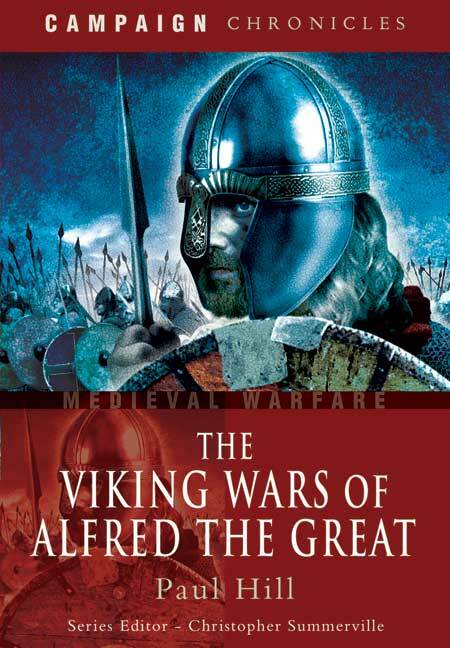 You'll be £19.99 closer to your next £10.00 credit when you purchase The Viking Wars of Alfred the Great. What's this? In the spring of 878 at the Battle of Edington the tide of English history turned. Alfred's decisive defeat of Guthrum the Dane freed much of the south and west of England from Danish control and brought to a halt Guthrum's assault on Alfred's Wessex. The battle was the culmination of a long period of preparation by Alfred in the wilderness - a victory snatched from the jaws of catastrophic defeat. As such, this momentous turning point around which an entire nation's future pivoted, has given rise to legends and misconceptions that persist to the present day. Paul Hill, in this stimulating and meticulously researched study, brings together the evidence of the medieval chronicles and the latest historical and archaeological research to follow the struggle as it swung across southern England in the ninth century. He dispels the myths that have grown up around this critical period in English history, and he looks at Alfred's war against the Vikings with modern eyes. Overall it is an excellent read for both new and established scholars of this period, written in an engaging and authoritative style. If the proliferation of Saxon names proves a difficulty, Hill has been careful to relate them to their place and context and this helps make it a very worthwhile foray into a period that was not the dark ages of legend, but one rich in English history that we all ought to know more about. Any history of England in the Dark Ages is doomed to struggle with a lack of source material, but Paul Hill, resisting the popular temptation to plug the gaps with semi-plausible fantasy, takes the surviving documents and presents a remarkably comprehensive narrative of the military achievements of Alfred the Great. Beginning with a description of 9th Century England and the first Danish attempts at colonisation, there follows a quite absorbing account of the emergence of Alfred and his initial efforts to protect Wessex from an intelligent and relentless foe. Following the great Saxon victory at Edington in 878, the book then chronicles the establishment of Alfred's system of fortified "burhs" across the land, a tremendous feat of engineering which not only protected Wessex from conquest during Alfred's lifetime, but also provided a solid platform from which his equally brilliant successors would advance to reclaim the northern realms, eventually unifying the English peoples under a single king. This is a superb account of a man whose contribution to the political, legal and military legacy of England cannot be understated. Paul Hill is well known as a lecturer, author and expert on medieval warfare and military archaeology, and he has written several books on these subjects, among them The Age of Athelstan: Britain's Forgotten History, The Viking Wars of Alfred the Great, The Anglo-Saxons at War 800-1066 and The Norman Commanders: Masters of Warfare 911-1135.